I wanted to collect a check list for you what to consider when you negotiate an overseas assignment and the relocation package. If you have never lived outside your own country, it might be difficult to even think what all you need to know about moving to a different country, and how much that can cost. I have been living as an expat since 1997, and in every move there is something new even for me. If I forgot something important in this list, please add it to the comments. Make sure to subscribe to Skimbaco Lifestyle for more ideas how to enjoy life, no matter where in the world you are. What is a Relocation Package? Relocation package: the added bonuses, one time payments, allowances and paid perks related to a move due your job. Some of the perks are continuous, some one time payments. 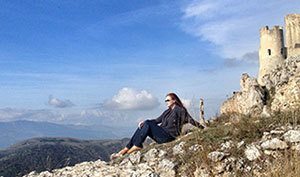 Amazing relocation packages (that make you more money than you ever imagined) are rarity these days due the bad economy, even though it used to be that you were able to save a nice nest egg just by working outside your country for a few years. However, great relocation packages still exist, and here are some of the things that you might want to have included in the relocation package, or at least know about when you negotiate your contract. 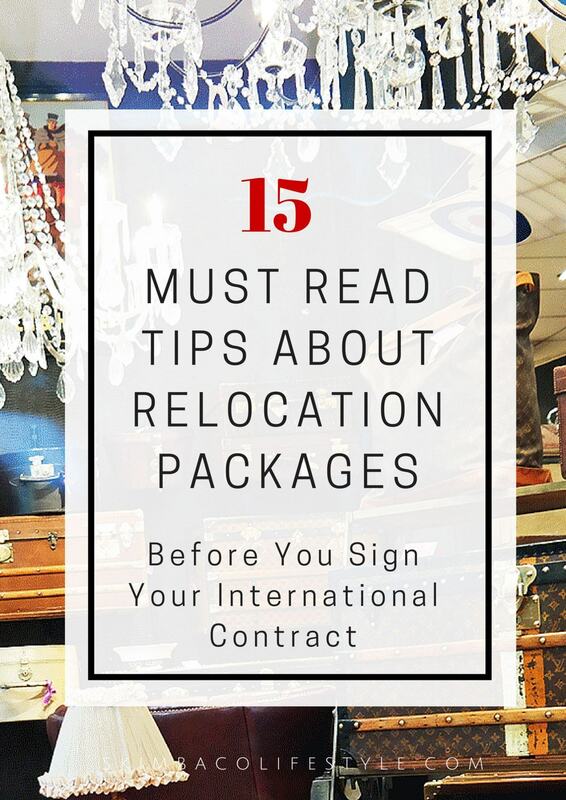 Remember, you are most likely NOT able to get all of these in your contract, but you know what to ask for, and what kind of options there are, and what the costs of moving to another country consist of. I don’t recommend demanding it all, but first thinking what you really need, and what you can live without making it easy for you to negotiate. Also, when negotiating and signing your contract, make sure which of the costs the company will actually pay, and which costs they will reimburse you. Also, remember that some of the benefits or bonuses are taxable. International bank transfers, changing exchange rates and paying taxes on your bonuses can eat up bonuses fast, and who cares if your company would reimburse you, if you don’t have the money to pay for it as it occurs. The best kind of relocation packages include all expenses paid not just for the employee, but also for his/her family. Companies who deal with a lot of international transfers and assignments can also interview the spouse before even offering the job. They know that if they employee’s family/spouse is unhappy or not co-operating with the move, it is more likely for the employee to quit or come home before the assignment is over. Many companies also offer spousal assistance in getting a visa/work permit. When you are negotiating your overseas assignment it is always good to make the company know if your family is ready to move, they all have passports, speak the language etc. ways they are ready to make the move and living in the new place easy. It is a warning sign if your company doesn’t include the family in the relocation package in any way. Even if it’s an assignment where family can’t move, it should include at least paid visits to the location or for the employee to visit back home several times a year (time and flights paid). Family expenses to consider: travel expenses, meals while traveling, visa application fees, passport fees, private school fees if English speaking public schools are not available. Some companies also offer cultural education for employees and their families, like language courses. Many companies pay a trip to visit to the new location for the employee and sometimes also for spouse to look at the location and start house hunting before the actual move date and hopefully already find a place to live so it will be easy to move in. We have actually never done this, and we have survived just fine, but it does make many things go much smoother if you do. When you are negotiating: This saves the companies actually money – then they don’t have to pay you to live in expensive temporary housing/hotels as long if you are ready to move in as soon as you arrive in the country. Things to consider: All expenses paid trip, having a relocation company (or a real estate agent) to help you to find housing. Moving costs consist of packing and shipping all of your belongings to the new location. When you are negotiating: If you own your house and are able to leave some of your belongings to your home country (for free of cost) in either your home or to an alternative storage, mention this when negotiating. Your company might pay for something else if you don’t need/want to ship all of your belongings. Moving expenses to consider: moving insurance, moving via air or surface (surface takes much longer), and storage costs (and insurance) if you want to leave something behind. Storage costs in the new location if you won’t have housing when the items arrive in the destination country. Consider all of the costs you might have when leaving your current location. Do you have to break your rental lease and pay a fee? Do you have to sell or rent your home out? Some companies offer to pay all of the fees for breaking your rental lease and some companies also offer sales assistant for selling your home, and will pay the realtor fees, cover mortgage payments while house on the market, and handle the closing. When you are negotiating: If you don’t have any moving out costs, make sure to mention it as savings for your company if they typically pay it. Moving out expenses to consider: Breaking leases, phone company contracts, gym memberships etc. Travel expenses should include per diem and paying for all of your transportation and food during the transition time. Ideally for your entire family. If you already have found a place to live and have a moving date (if you already visited the new location for house hunting purposes), you may not need a long temporary housing period. I highly recommend trying to negotiate at least a 60 day temporary housing and per diem payment to your contract, in most places it is difficult to find and move in in less than 30 days. Temporary living expenses to consider: transportation to work, restaurant eating can be very different/more expensive than in your home country, laundry costs. Often companies pay your rent directly, or pay you a housing allowance. You might be offered what is considered a generous housing allowance back home, but it might be much more expensive to live in the new country, make sure you know how much typical housing costs are in your new location. If your company won’t pay a housing allowance, make sure your salary covers the housing cost. If you are paid housing allowance monthly with your salary, and you have to pay rent on your own, you might have to pay transfer fees from one country’s bank to another, or if the housing allowance is in your home country currency and rent is in the destination country currency, you might lose money due exchange rates. Take all of these in consideration when negotiating and signing your contract. The best way to do it to have your company to pay the rent directly to your landlord. Housing expenses to consider: rent, rental fees, housekeeping fees, rental deposits. Same goes for living expenses like food, gas, rent, phone, utilities – do some research on the cost of living so nothing comes to you as a surprise and you are well informed when negotiating your contract. Your salary might be 30% more but the living costs might be 50% more in the new country. Many companies pay a cost of living adjustment (if the cost of living is considerably higher in the new country). Living costs to consider: Gas, utilities, food, transportation, parking (can be very expensive in big cities), phone (in some countries it can be difficult to get a cell phone contract as a foreigner). 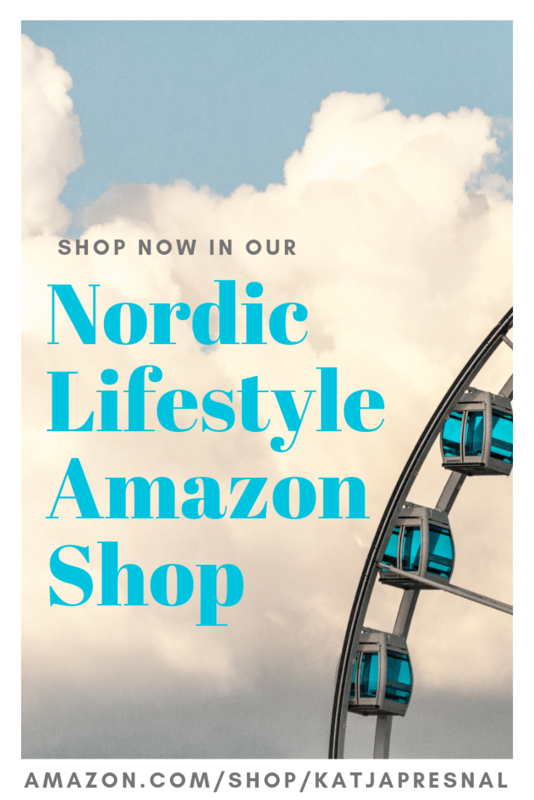 “Curtain money” is a one time payment that helps you to cover miscellaneous costs related to moving like hooking up the internet, buying new curtains, or with international moves having to buy electronics etc. that work in the new country. Miscellaneous moving in costs to consider: in some countries the rental apartments come without curtains, light fixtures, or and even in some countries like Germany without kitchen cabinets or appliances. Dealing with foreign governments can be frustrating and expensive. Make sure your company will assist you in applying the work permits and visa issues. Ideally they will handle it for your entire family. Other immigration costs to consider: even if you just have to apply passports for the entire family it can get expensive. You might also need papers certified, translated etc. and these services add up. Preparing taxes when you have assets in two countries, or when you work outside your country can be a nightmare. Make sure you have either tax services provided for you or tax assistance paid for. If you are an American living outside the US you will still have to pay taxes in the US and also possibly in the destination country. If you are going to be double taxed, your salary should reflect it. If you will be paid in a different currency than the currency where you will be living, you will want an exchange rate protection so your income will reflect the country’s currency where you live. If you are only paid let’s say in dollars and the other country’s currency suddenly goes up, your dollars won’t last as long and you might have difficulties living the lifestyle you thought you would. I think medical should be part of every employment package, but make sure that your entire family is covered overseas as well. Make sure you know about transportation options in your new country and if you are able to buy or lease a car immediately as a foreigner. You might need a local social security number to get the car registered or to get insurance for it, and all of that can take time to get. If you recently got married or had your name legally changed you will need to do a social security change name. Make sure your company is paying for a lease or rental car for you to use if you need one, or public transportation is available. Transportation costs to consider: car insurance, public transportation, parking fees. This is different from medical insurance. Depends on your destination country and the immigration process but for some countries you may need medical examinations, or you may need to get vaccines to travel there. Make sure your company will pay these as part of your relocation package or that you budget them to your relocation for the entire family. If you have pets and want to bring them with you, make sure you know the laws and costs involving importing pets. The transportation and the paperwork can add up to thousands of dollars and while your company may not include pets in your relocation package, make sure you budget it in your move. Hi, What do European IT companies provide as of today? I do not see any mention of relocation expenses in my contract. Is relocation expenses a past thing ? I am moving to Luton-UK, based on Tier 2 (Intra Company Transfer), please suggest the approx. all expenses for 4 member in family. Hello Raj, as you can see from the list, there are so many variables of different things that affect the expenses, it is impossible to give an estimate. Please contact moving companies that handle moving to get a quota if you are looking for that specifically. Is it too complicated bring my own car ? I’m still making payments here in the US, but I know is not so expensive to ship overseas. Should I negotiate this also ? Cause I’m thinking they’ll provide only one car for me. Thanks for the advice. I have a question though. Will the cost paid before I move or after I move as my budget will be quite tight to pay all those cost in advance? You have to negotiate it with your employer, but typically all costs are paid afterwards. However, there are things like the “curtain money” that you get ahead of the time. Brilliant article – very thought provoking. I have been able to put together a wish list that will be the start of negotiations! Thanks for your help! Despite no oversees moves in my future, I found this to be highly interesting and informative! Hope you are settling in well!